By now most of you have seen a commercial on TV about how plastic drinking bottles are polluting our oceans and landfills. Or maybe you heard a news story about the possible leaching of chemicals from plastic bottles into drinking water. For most people on the go plastic drinking bottles is a convenient way to bring your water with you. Recently many bottle companies started advertising BPA free plastic water bottles. So these bottles are free of one chemical that scientists have identified as harmful to the human body. What about all of the chemicals that they haven’t identified? Are they going to tell us in a couple of years that those chemicals were harmful to us also? Maybe, or maybe not. One thing for sure I’m not willing to wait around and gamble with my health. If plastic drinking bottles are on their way out then what you may ask is a good alternative? The other choices we have are aluminum, stainless steel, or glass bottles. I have tried both aluminum and stainless steel bottles and they both start to leave a metallic taste in the water after repeated usage. 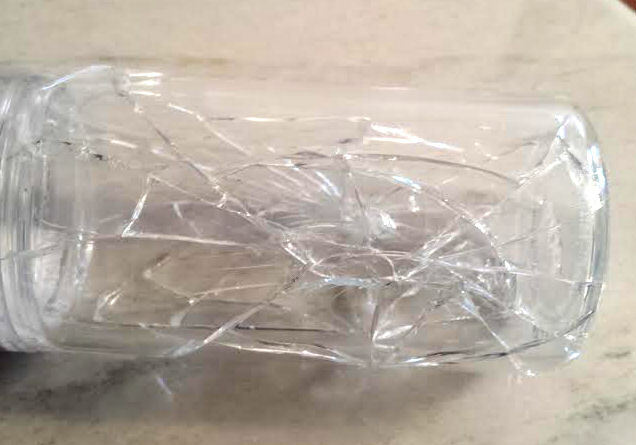 Glass is another type of bottle I have tried but have always been worried about dropping my gym bag and having the bottle shatter into a bunch of pieces. Glass doesn’t add a weird taste to the water. There are no issues with chemicals and they are easy to clean. The big issues most people have with glass drinking bottles are their weight and safety. Well thanks to a company called PURE the breakage problem is a thing of the past. The PURE Safe-shell glass bottles come in few shapes and different sizes. They retail from $19.95 for a kid sized bottle to $24.95 for a large sized bottle. They also sell different lids. As for the lids make sure you test your lids as soon as possible, as I had issues with lids not closing properly and therefore the bottle was leaking. 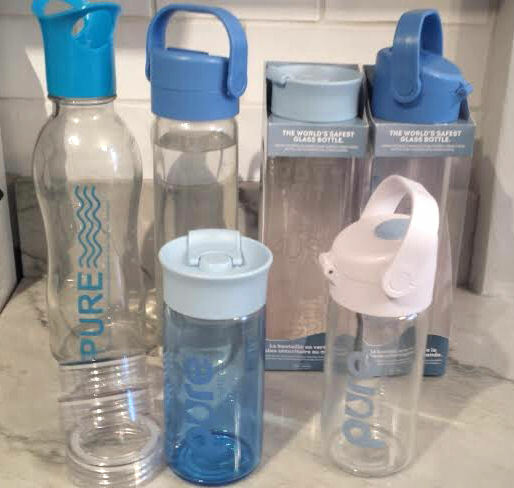 For more information or to purchase, visit PURE online store but before you head there, Check out our video where we tested a PURE drinking bottle against a regular glass bottle. 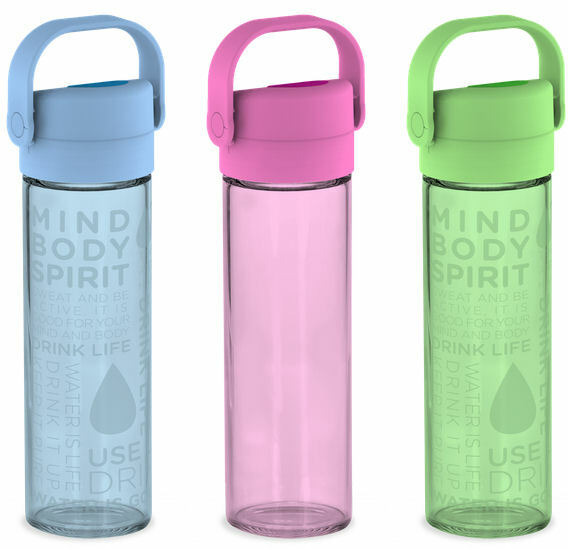 Disclosure: I received free samples of Pure Glass Water bottle mentioned above for free to facilitate this post. All opinions are mine. Nice love to have one. Thanks for the review. I’m curious as to whether your leaking lids problem was resolved. That’s the biggest problem I have right now with my glass water bottle, and I’m looking to find a different one that doesn’t leak if it falls over. Jacqueline, In my case, I found that lids with the handle and not closing properly and therefore leaking. I found the plain clear lids work the best. I still use the bottle daily, but use the clear lid. In your case, I advise you to contact Pure company and tell them about your leaking lid problem. They should stand behind their products and should replace the lids. Please let me know if you have other questions. I know I’m really late here but I am just curious if the bottle can be microwaved with the liner. I regularly make tea and I just want to know if I can use this for that purpose. No, the bottle can not be microwaved with the liner. Instead you can microwave your tea in a microwave safe jar and then pour it into the Pure Glass water bottle. Let me know if you have other questions. Good luck!